THE world’s largest camera has just been completed for the Coast and Geodetic Survey. 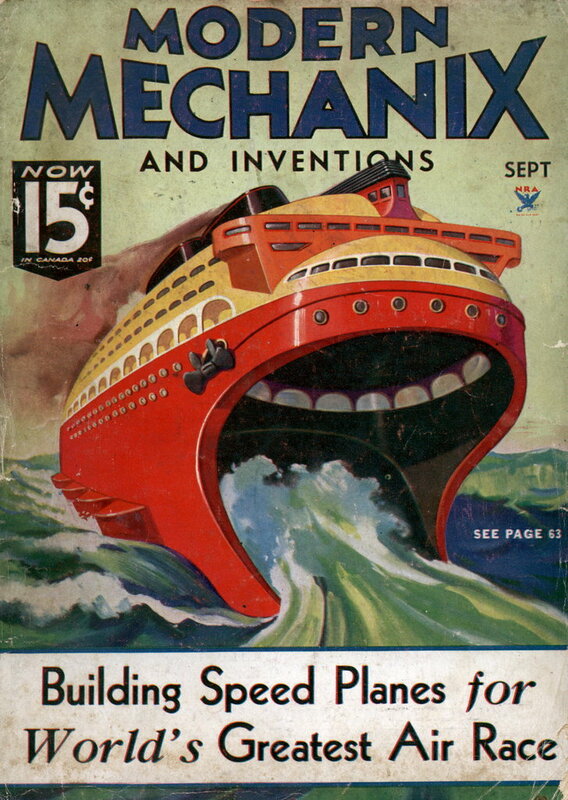 It weighs 14 tons and is 31 feet long. 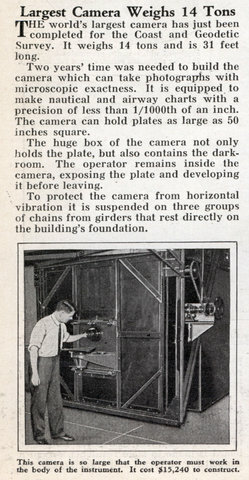 The huge box of the camera not only holds the plate, but also contains the darkroom. The operator remains inside the camera, exposing the plate and developing it before leaving. To protect the camera from horizontal vibration it is suspended on three groups of chains from girders that rest directly on the building’s foundation.